PRETTY much every major city in the world is situated next to some sort of large body of water, for any number of reasons, so the North Saskatchewan running right through our city doesn’t exactly make Edmonton anything special. What does, however, make Edmonton special is the absolute abundance of the surrounding river valley, hands down the most stunning part of our town no matter what the season. It’s become a sort of cliché to namedrop the so-called “Ribbon of Green” when visitors are soliciting locals for suggestions of the best things to do or see in Edmonton. Our stunning river valley in autumn. It’s always one of our (many) go-to’s, and for good reason. The river valley is easy to access from almost anywhere in the city; it’s riddled with some 20 municipal parks, and just so happens to be the largest expanse of urban parkland in North America, its 18,000 acres more than 21 times the size of New York’s Central Park! 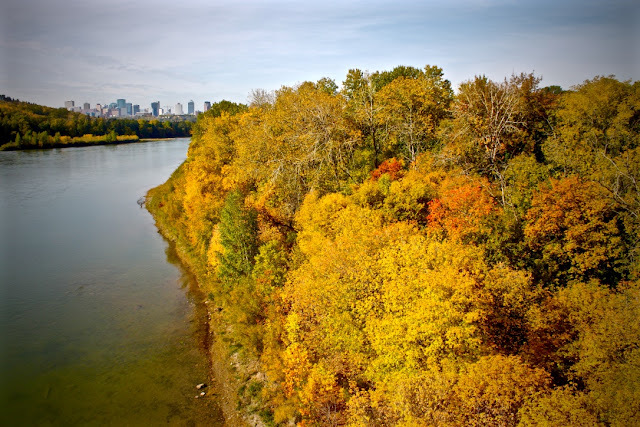 The 22 ravines and 11 lakes that make up this massive stretch of greenery are perfect for hikers, runners, cyclists, canoeists, skiers, skaters, skateboarders, birdwatchers, and nature enthusiasts, although there are plenty of other things to do within the river valley. 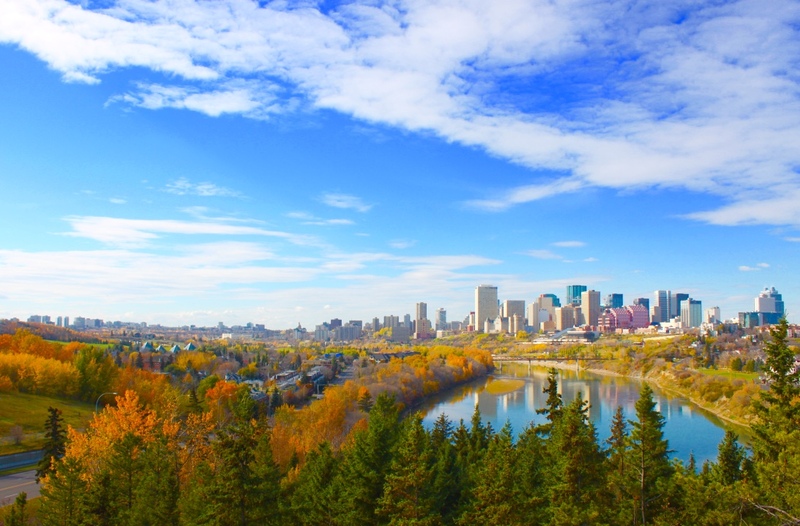 There are several golf courses (including Victoria, Canada’s oldest city-run course), rec centres, public pools, campsites, and even open air concert venues scattered throughout the network, as well as Fort Edmonton Park, the Edmonton Valley Zoo, the Muttart Conservatory, the Alberta Legislature grounds, the Snow Valley ski hill, the Edmonton Queen, and the original Royal Alberta Museum. The North Saskatchewan River runs right through our beautiful hometown. And various popular annual events use the river valley system as a backdrop, including the Heritage Festival and Symphony Under the Sky in William Hawrelak Park, the Dragon Boat Fest along the Louise McKinney Riverfront Park, or the Folk Fest at Gallagher Park. Edmonton has somehow managed to find the perfect balance of urban living and the preservation of our most precious resource, our river valley. It belongs to all of us, and therefore it’s our communal responsibility to maintain all its marvelous splendor for future generations to enjoy.